Preschool is such a FUN age not only because of the innocent silliness but it’s an age where everything in learning draws out an “OOOHHH” or “AAAAHH” from these little ones. 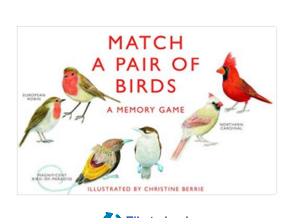 Ever since launching our travel blog, Exploration America, I wanted to create an animal memory match game that could easily be stored in a daycare or classroom setting as well as one that can be used on the road while you travel. 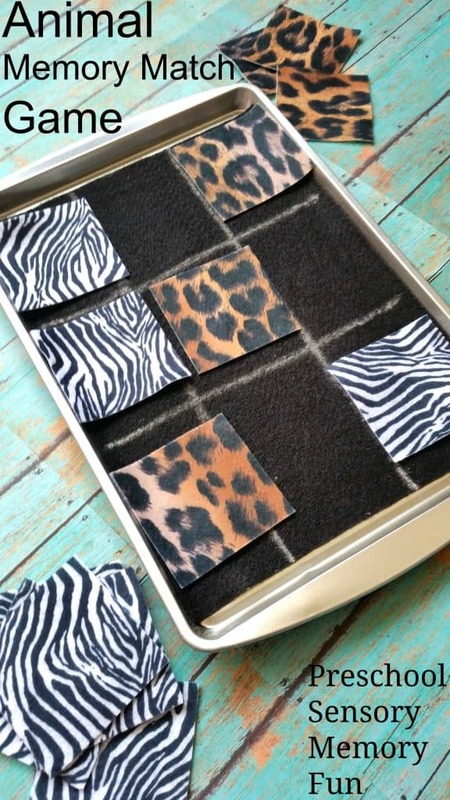 Although memory match games are not expensive I wanted to create a cheap version that I didn’t mind losing or damaging while on our summer road trips. 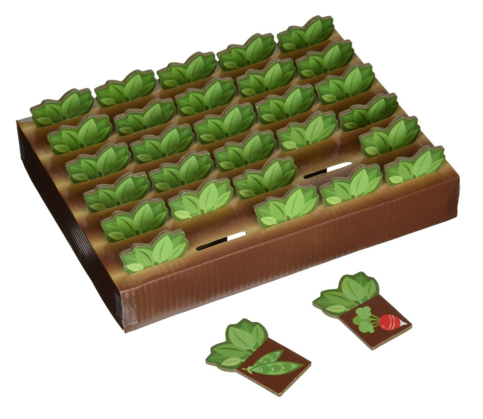 If you’d rather purchase a Memory Match game these are my absolute FAVS for learning and tactile: Farm Memory Match, Garden Harvest Memory Match, and Match a Pair of Birds. 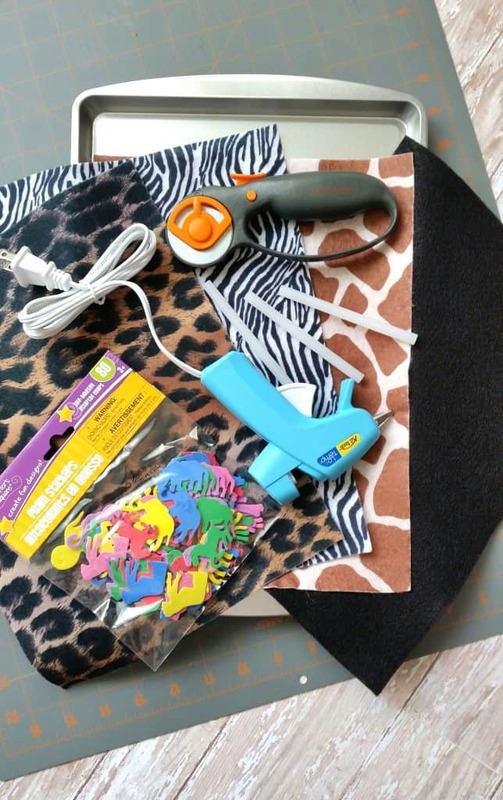 Glue black felt to the baking sheet. 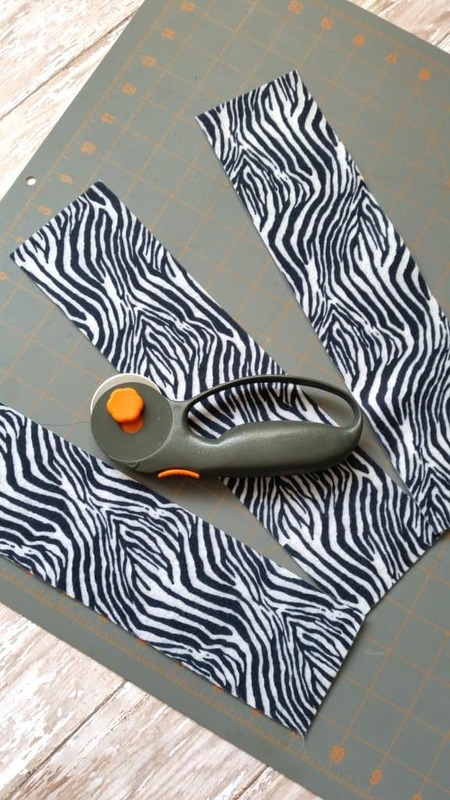 Using the cutting mat as a guide (or ruler) to cut animal print felt into three 3 inch strips. Turn, and repeat, this time making 3 cuts for a total of 12 squares. Do this with all 3 prints. 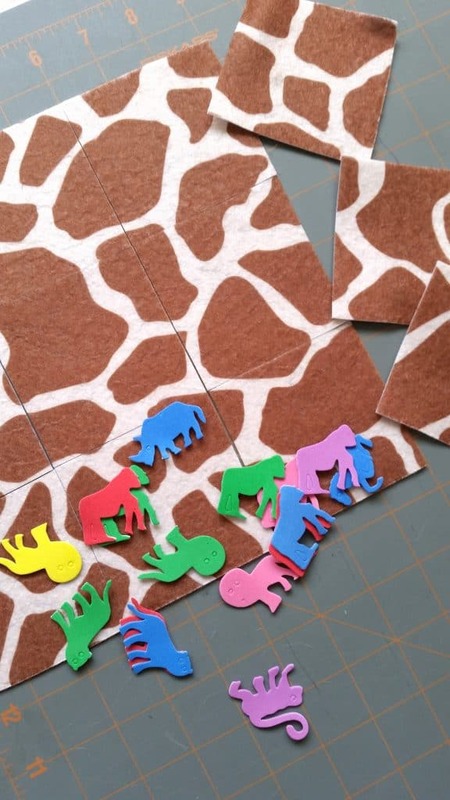 Sort out 6 sets of matching adhesive animals and hot glue them to the underside of whichever print you choose. Peel the paper backing off first. 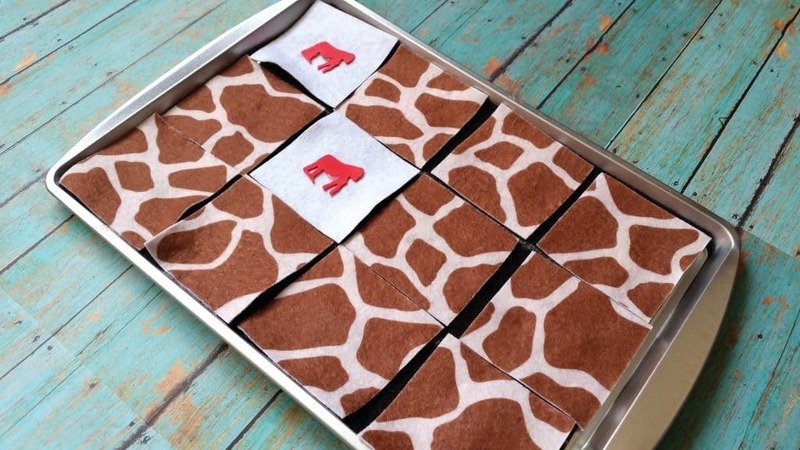 I used chalk to draw the tic-tac-toe lines onto the black felt, and store the pieces in a zip lock bag. 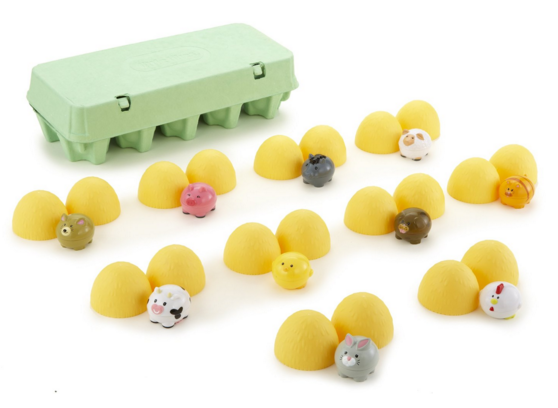 Mess free entertainment during long trips or flat storage for activity centers!